Located on the waterfront by Harbour Grill Restaurant. 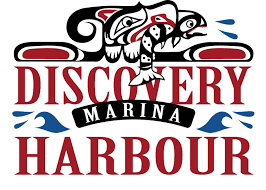 Discovery Harbour Marina is a full service marina offering boat moorage, power, water, washrooms, showers, laundry facilities, parking (including boat trailers), and ice. Marine fuel is also available at the Marina Fuel Sales dock.